Whether it’s a day of casting, sailing, or capturing your next shot, the Revolution 11 has you covered. Modeled after the popular Hobie Revolution 13, the “Revo 11” sports a fast-yet-stable hull, Hobie’s innovative MirageDrive, generous belowdeck stowage, myriad on-deck lashing opportunities and an optional sailing kit, giving you the ability to go whenever the mood strikes. The Revolution 11’s lightweight hull rewards energy input with quick acceleration and her tight turning radius allows you to adroitly stalk fish and confidently explore reefs. 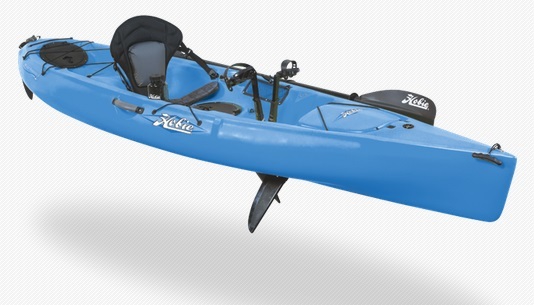 Ideal for small-to-midsize kayakers.